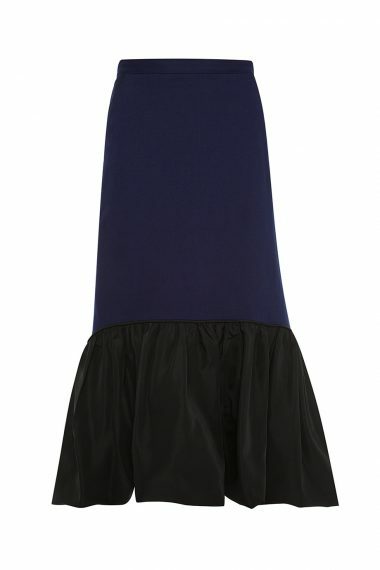 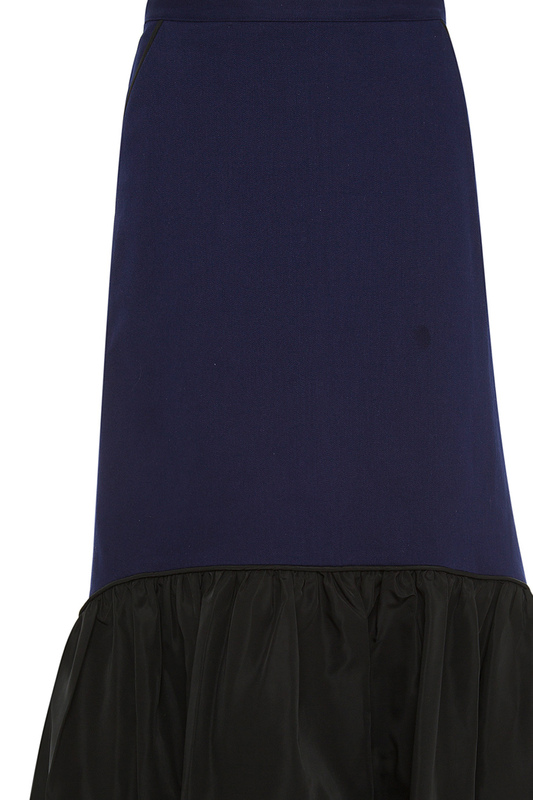 Denim navy blue skirt fashioned with an asymmetric contract taffeta hem and black piping detail. Complete with side pockets and back zip closure. Style fits true to size, please take your usual size.